Thursday, September 13, 2018 - This photo has sparked a heated debate on social media. It shows a lady standing in a train holding a pole while several men sat unbothered. 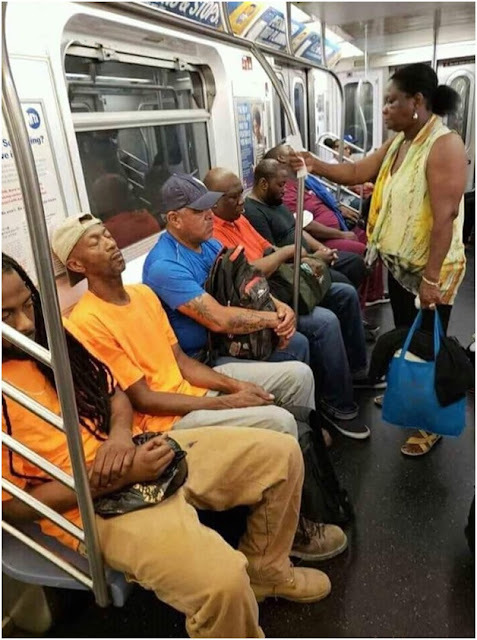 While chivalry and good manners dictates that one of the guys could have given up his seat for the lady, these guys didn’t give a damn. The photo has brought to the fore the topic of gender equality demands by feminists on equal treatment of men and women.